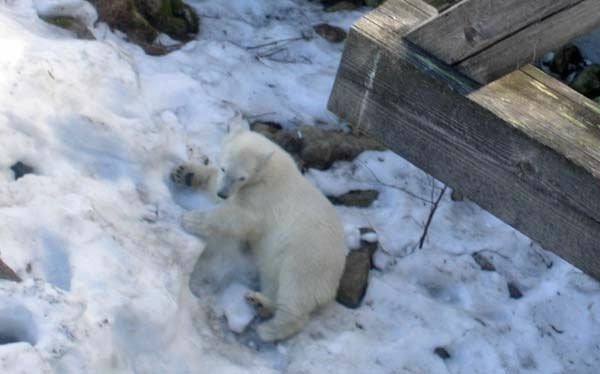 When we heard the happy polar bear family news from Ranua in January we immediately decided to visit the baby bear. We wanted to wait until the roads were free of ice and snow but since the Old Man Winter retired very late this year we had to wait. 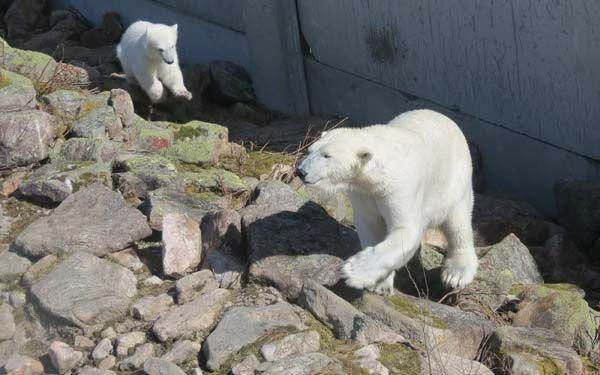 However, on the 24th of May we could finally enter the zoo – even called the Wildlife Park. We didn’t come empty handed – there were water melons to Venus and Manasse, a honey melon to Nalle and jars of honey to Malla and Jemma. 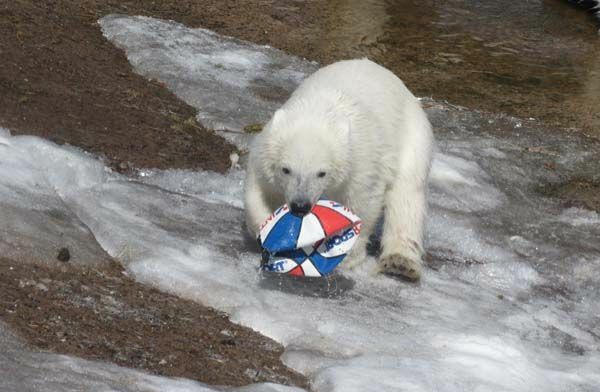 We even brought a ball to Nalle. Mari Heikkilä kindly met us in the entré so we could leave our gifts to her. 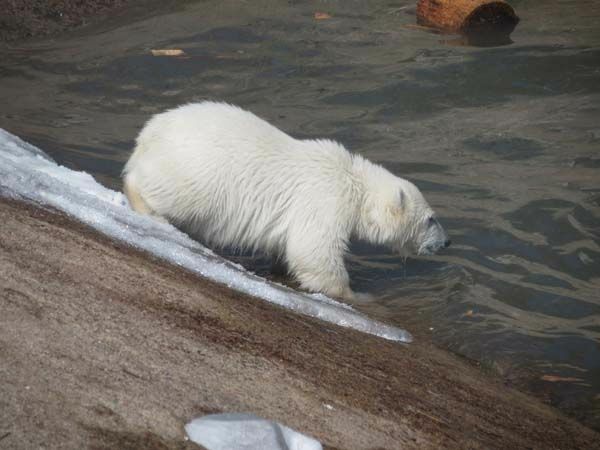 For the new readers’ information – the baby bear hasn’t got a name yet so Nalle is a nickname I’ve given to him. There’s a name voting going on and a jury consisting of the keepers will choose the best suggestion in the end of August. 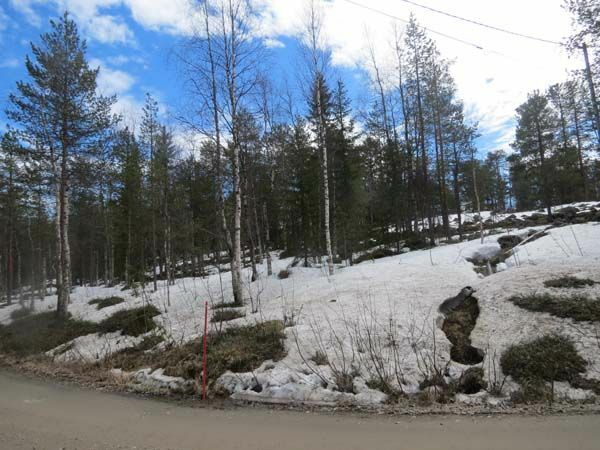 The snow had melted in most parts of the Ranua region but in shadowy places like this wood there was still some snow left. 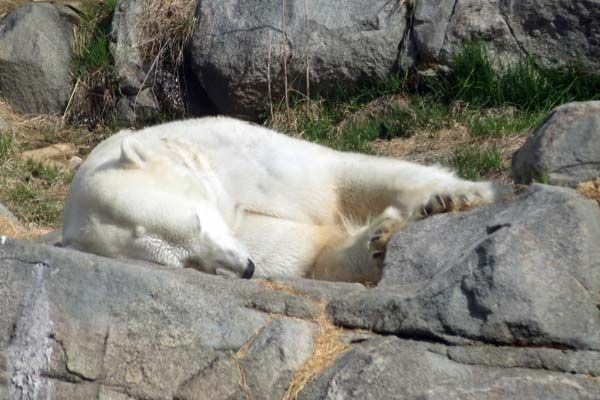 When we came to the polar bears we found King Manasse sleeping in the sunshine. 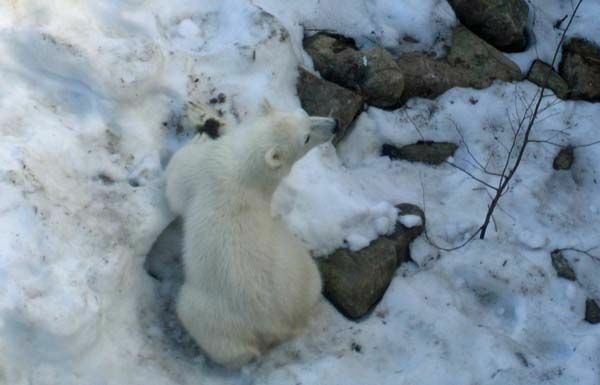 After admiring the sleeping bear we continued to Venus and Nalle in the neighbouring enclosure. First we didn’t see any bears but we waited patiently (as you know I’m a very patient person! 🙂 ) and our patience was rewarded! 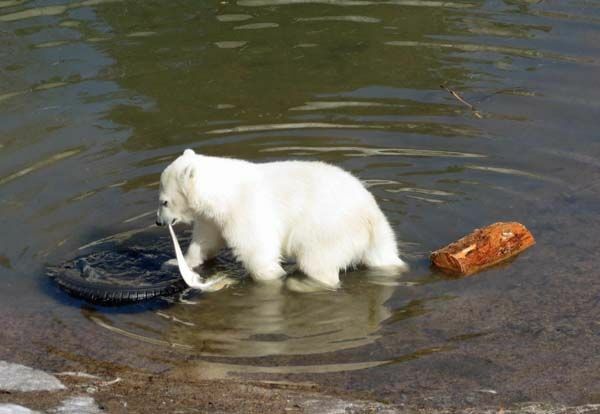 Oh bear, it was richly rewarded!!! 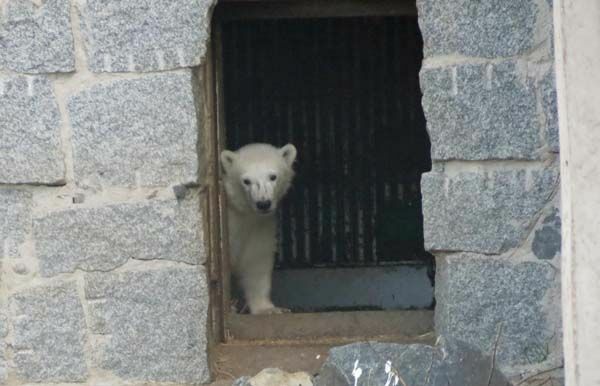 What a fantastic feeling it was to see our sweet Nalle peeking out from the den! I had to pinch my arm to make sure I wasn’t dreaming. 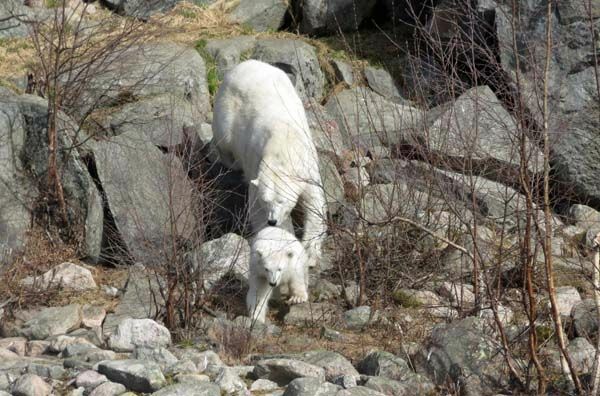 Soon even mama Venus joined him and the bears started to walk towards us. He’s so sweet, so cute, so lovely, so beautiful – you name it! It’s simply impossible not to love this fur ball! 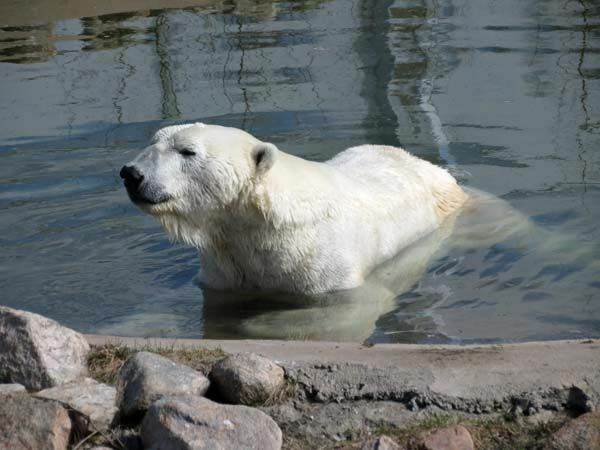 When Nalle came down to the pool we could have a closer look at him. He’s a real rascal according to the keepers. 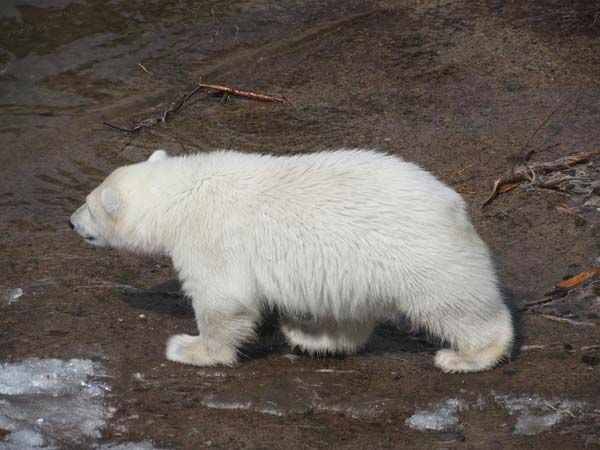 Recently he was weighed and the scales showed 39 kilos which is much more than Ranzo weighed at the same age. 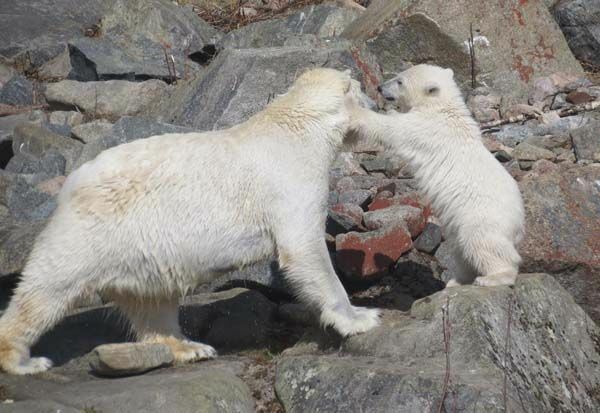 Ranzo is now a very big polar bear and I’m sure Nalle will be as big or maybe even bigger than his brother. Nalle really is a fearless viking. When the visitors and the media had to wait for two hours for Ranzo to come out for the first time Nalle immediately followed Venus when it was time for him to present himself to his fans. 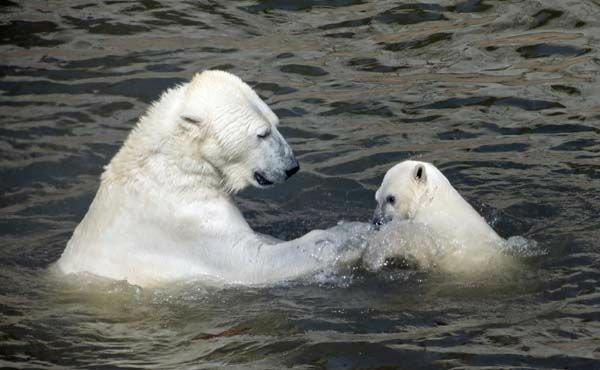 Queen Venus is a beautiful polar bear lady and it was easy to see she was very happy about her son. 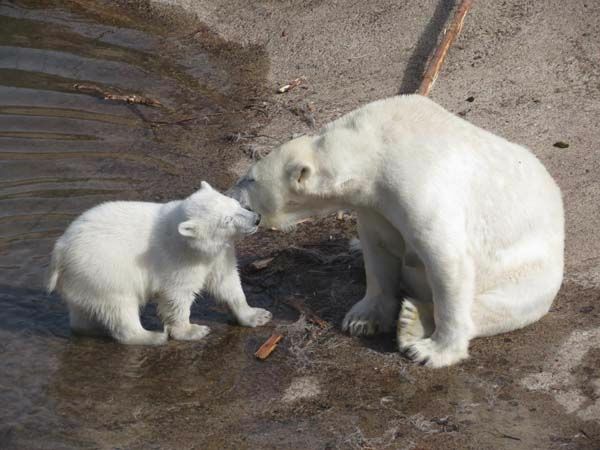 Very often the mother and the son stopped for a hugging and chatting session. The water in the pool couldn’t be cleaned because the cleaning system was still frozen. Although the snow has melted the ground hasn’t. 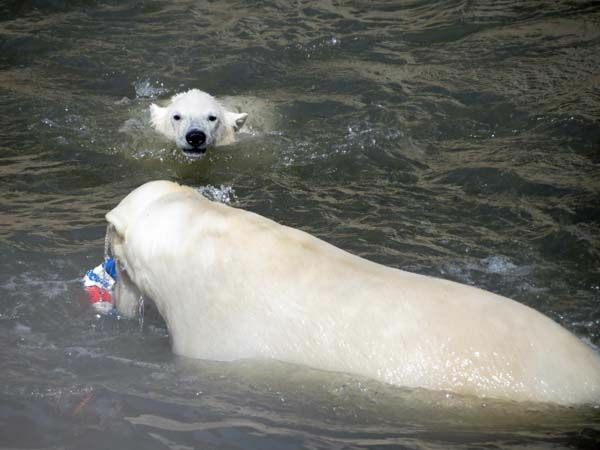 Nalle doesn’t mind that but had made his first swimming tours only a couple of days earlier. 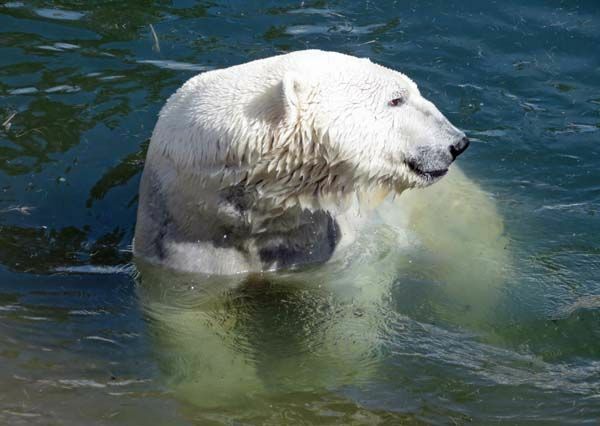 He hadn’t hesitated one second before jumping in the cold water – obviously he instinctly knew it was his element just like the snow and the ice. 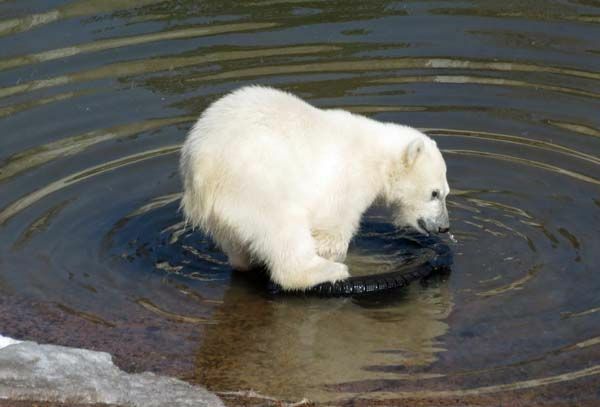 There were many treasures in the water and just like all little boys he loves the black tyre. We couldn’t see what the ‘white thing’ was but Nalle had a good time playing with it. There’s a wall separating Manasse from his family but it seemed to us they are still kind of living together. Manasse kept walking along the wall sniffing the air. Of course, he’s very well aware of the fact that Venus is close to him. 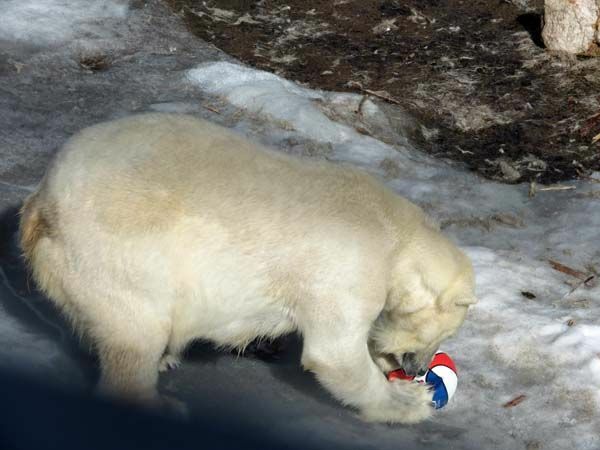 It’s really great Manasse doesn’t have to share the destiny of many other polar bear males who have to leave their home zoos at least temporarily when a baby bear is born. It was fun to watch Nalle imitating her mother. When Venus stood on her hind legs he did exactly the same. When Venus left the wall he followed. There could have been great photos of this but we allowed ourselves to observe the bears instead of taking photos all the time. 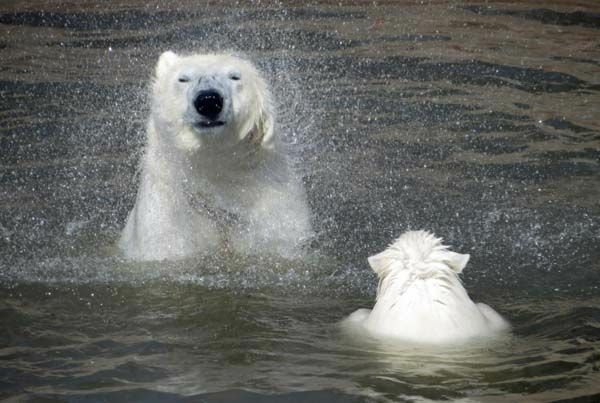 Nalle quite clearly guessed something special was going on …. The public feedings start in June but this time there was a ‘show’ anyway because Mari threw the ball into the water. 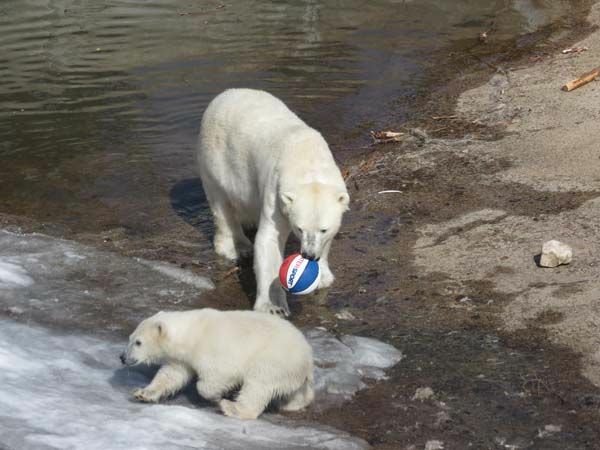 The ball was intented to Nalle but Venus was quicker and picked it up first. Nalle didn’t make a fuss but let Venus have her fun. 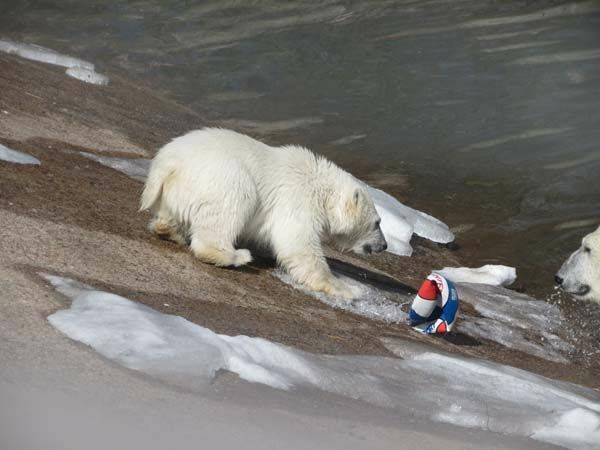 Now Nalle was running out of patience and started to claim the ball. Finally Venus left the ball – what was left of it – to her son. She looked very pleased with herself …. Now the ‘Nalle Show’ started. 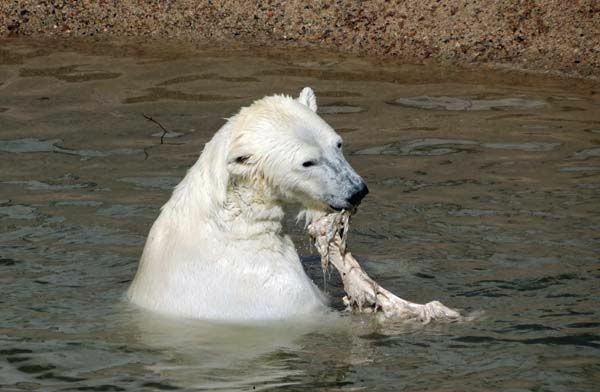 He was walking, running, somersaulting and running again with the new toy in his mouth or between his paws. The school children seemed to have as fun as Nalle. Of course, we were happy, too, watching our bear boy. 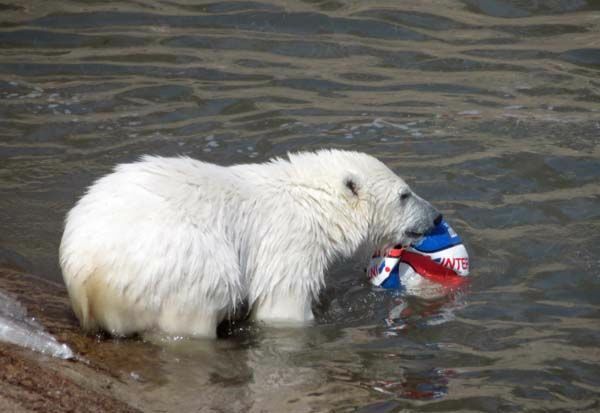 How elegantly he managed to transport the ball even on the slippery ice. 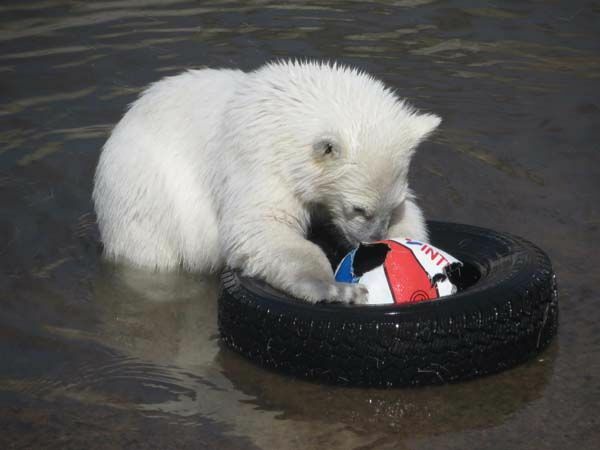 Naturally, Nalle tried to hide his treasure and the tyre was a perfect hiding Place. The next thing on the ‘schedule’ was treating Manasse with a water melon. It looked like our ‘Silver Fox’ guessed what was coming. 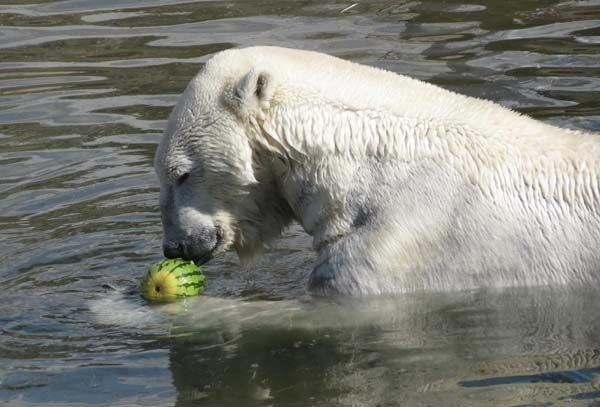 🙂 Venus and Nalle would have their melons in the den because none of us was sure we would hit the water. The treats would have been totally smashed if they had hit the ground. Manasse is already 28 years old but he’s still going strong! Not only does he look gorgeous but he also moves with great agility. We wish the old chap lots of health and many, many happy years still to come! 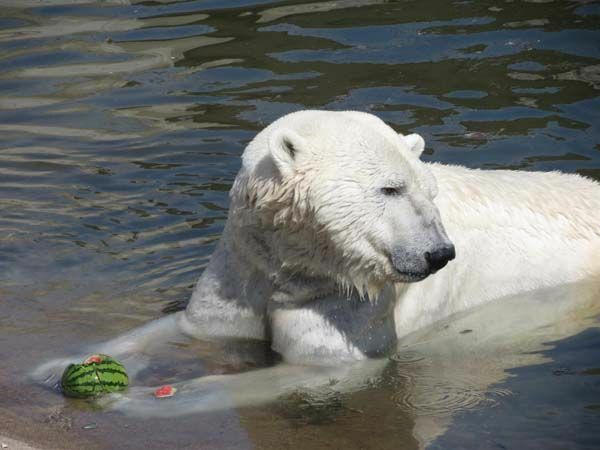 He didn’t eat it at once but took a couple of swimming rounds with the melon between his paws. We were glad seeing our treat seemed to be very welcome. Manasse ate it with good appetite. 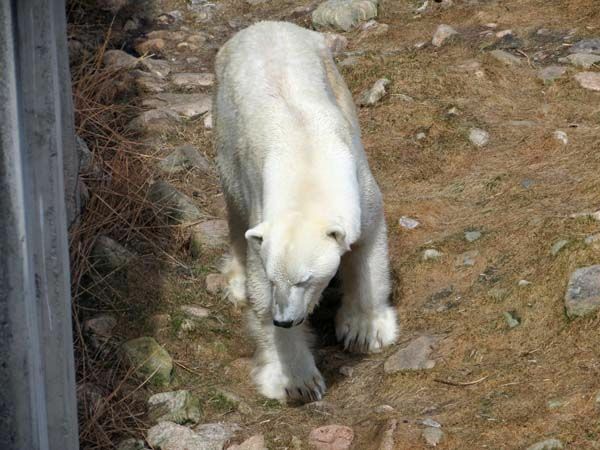 It was difficult to take pics of Nalle when he was in the lower part of the enclosure but here are a couple of examples of how it looked. 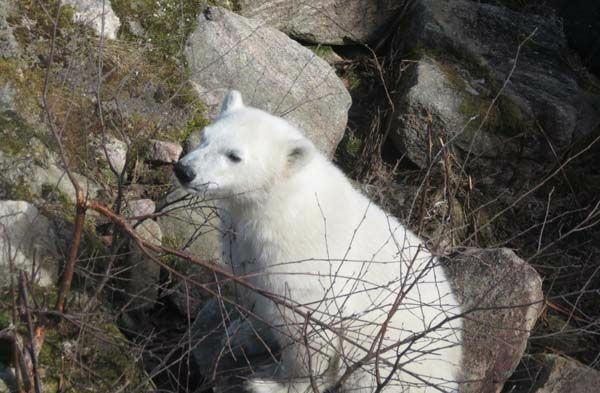 Nalle is wondering where all – almost all – the snow has vanished. There are only the remains of his snow cave left but it was still possible to do some digging. 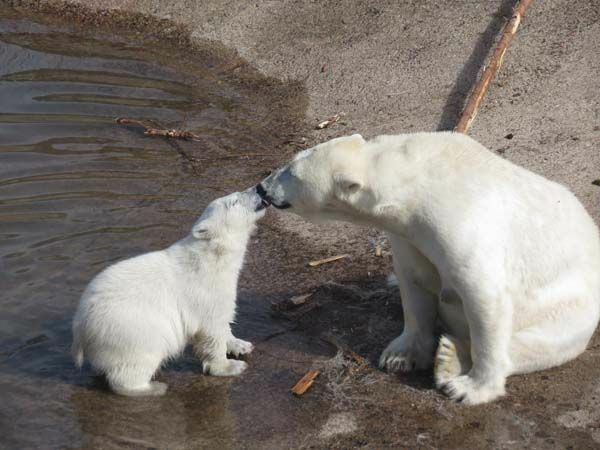 Watching polar bears is always a fantastic experience – no matter if they’re sleeping, eating, swimming or just sitting but the most touching are the tender moments between the mother and the son. 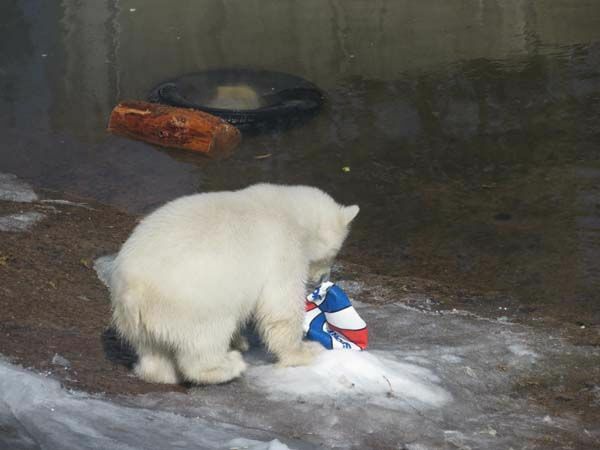 Even the most fearless viking turns into a little polar bear boy sometimes …. Venus had again pinched the ball and Nalle did his best to take it back. 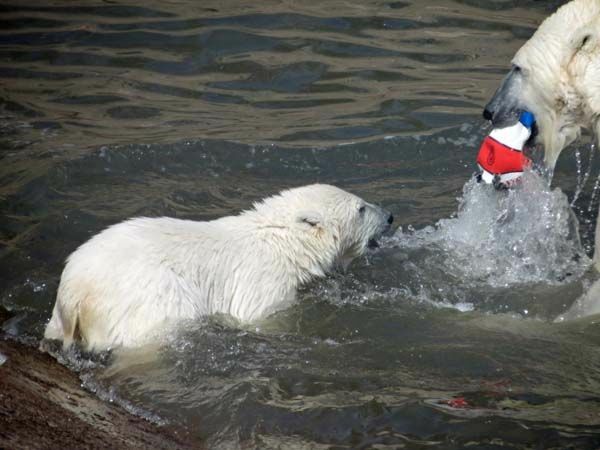 Instead of a ‘high five’ Venus and Nalle made a ‘water paw’. It’s amazing this was only the third day Nalle was in the water. It looked like he had spent his whole young life there. Mama, you’d better watch out – I’m attacking!! Hahahaa, I fooled you again!!! Let’s see what I can do now …. Ice gliding with a ball isn’t such a bad idea! 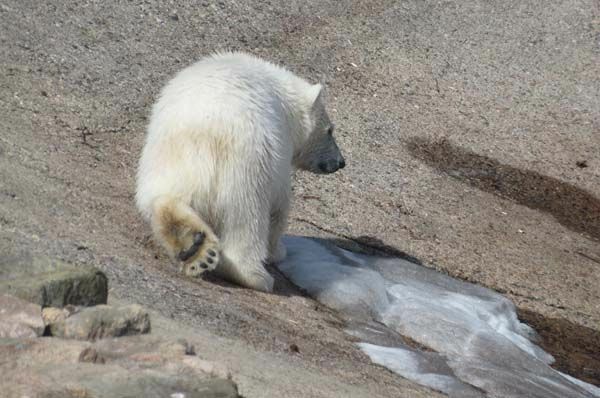 We hope Nalle could enjoy his special icy stairs to the water at least a couple of days more. The day was very warm so the ice was melting quickly. 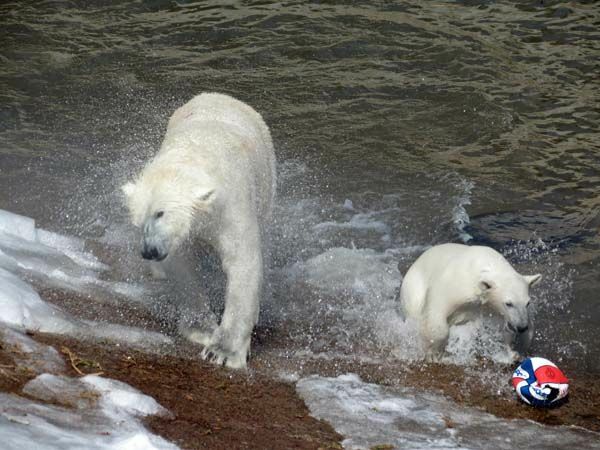 We had a wonderful day with the polar bears and we were glad we had reserved two days for our Ranua visit this time. This is the first part of our Ranua reports. We hope you like it. 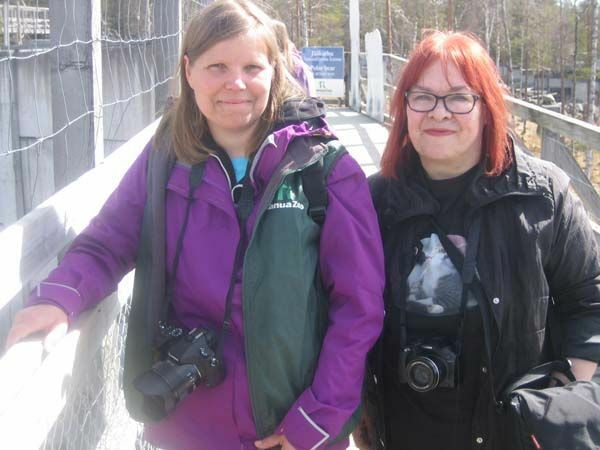 We want to thank Mari Heikkilä for her kind guidance and, of course, we also want to thank the nice personnel in the entrance for the kind and warm welcome! There are lots of photos in our album because I just couldn’t make myself delete anything but the totally failures. Here’s the link if somebody wants to take a look at them. ” We hope you like it.” . . . Are you kidding, dear NALLE-god mother and god father !! ?? I love it!! . . . Automatically when reading this individual writing-style and seeing the beautiful pics (both of you get better and better in your fields of action after any of your polar bear tours) I thought one more time of the book I told you of several times before “Deine Bilder – Meine Worte” (do you remember?). Thank you very much for this heartwarming personal (and even though) ‘professional’ report ‘aus erster Hand’! 🙂 . . . It was and is mere joy ‘to read and watch’ (both!). . . 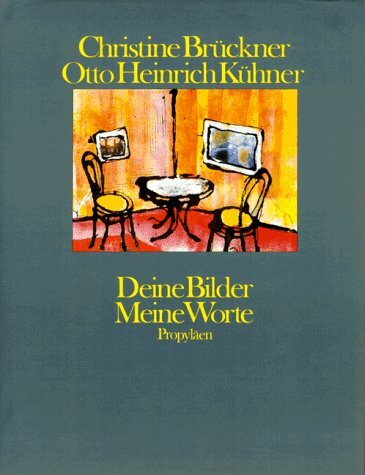 I am under the impression reality did even exceed all your expectations (‘Eure kühnsten Erwartungen wurden noch übertroffen’)! The picture of the landscape turning towards spring now, slowly but surely, is so beautiful. MANASSE welcomed you the way you love any of our favorite bears – sleeping calmly. Looking at his paws in later pics one is more than impressed about their and his total size! 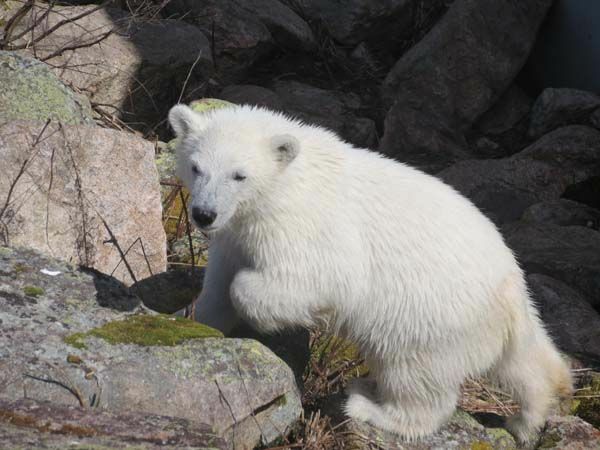 NALLE looking around the corner to welcome you is so sweet, as are any of the following pictures of this playful, sometimes wild, intelligent (e.g. 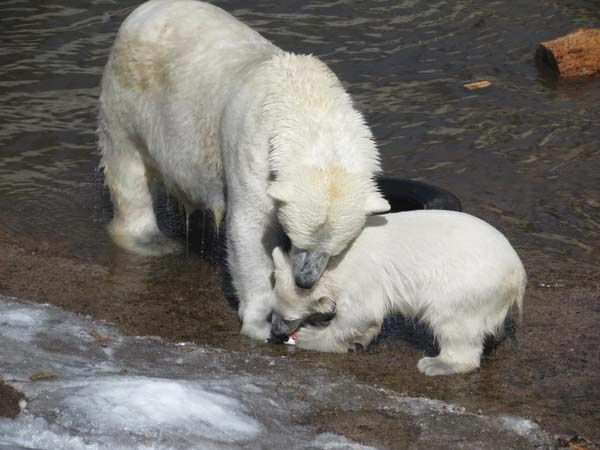 fooling mama to get what he wants), and sometimes tender (cuddling with mam) polar bear cub! . . . You’ve outdone yourself with your words again! . . .
VENUS is as beautiful as her name already promises it. VENUS and MANASSE are a beutiful couple. Such, it’s not too astonishing they have got offsprings that are as beautiful as they are. VENUS tells MANASSE about his sunny son through the wall. What a most lovely idea this was! Thank you, thank you, thank you for allowing us to follow your happy traces! thank you so much for this interesting report and the awesome pictures from Ranua! Venus is a loving and caring mom, poor Manasse has now to get accustomed his life for 2 and a half year with his dear partner Venus. And Nalle! 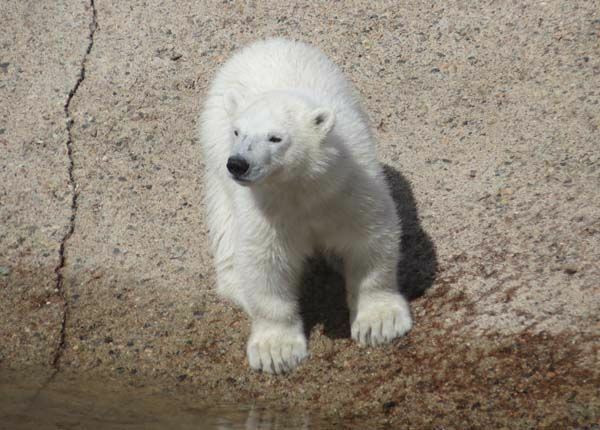 He is such a beautiful, cute and fluffy polar bear boy, I just want to cuddle him. Well,definitely not with Venus around! I shall certainly be accessing your album of photos as like you I cannot get enough of this family. printing them from the screen and saving them using the paintbox, not full size but nice. You really seem to have enjoyed the trip, though like me the coming home was not so easy..
RALPH – Ha-ha-ha!!! – ‘. . . definitely not with VENUS around!’ – Had a good laugh! HEIDI_Z – Die obige Bemerkung an RALPH gebührte natürlich Dir! Sorry! on your visit to Ranua, which has been expected and prepared with so much heart blood, you can not limit yourself to a few photos, every picture shows your delight at last seeing Nalle, Venus and Manasse. Not to come empty-handed is Mervi tradition and all gifts have been much pleasure. 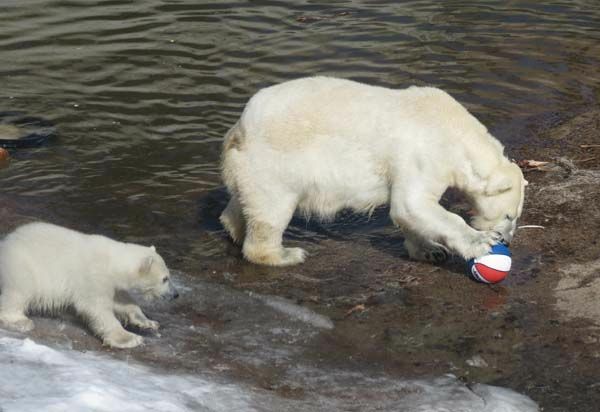 The life span of a ball is unfortunately very short in the paws of two bears, but who says a ball must be round? 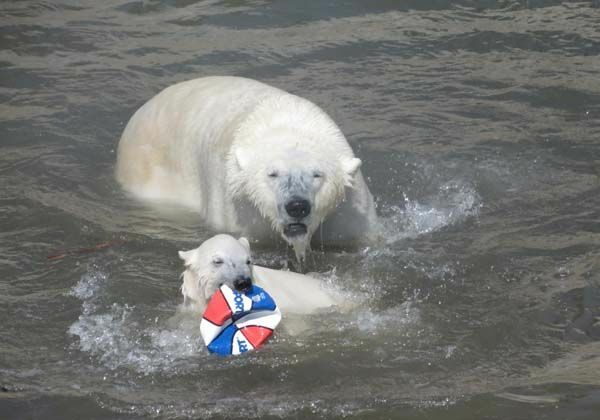 You can hide it in a tire and observe the air bubbles in the water, which pleases the mother and the child alike. Nalle is a proper guy, sometimes wild and sometimes cuddly, just a real Viking! Each of your photos is as affectionately commented as it is expected by a “Hofberichterstatterin” from the kingdom of bears! The fact that you and Vesa were greeted as very special godparents, I am particularly pleased for you. Also, your interpretation of Venus on the wall has touched me very much. Thank you very much for your wonderful report and the many photos. The second part I can hardly expect. bei eurem Besuch in Ranua, der mit soviel Herzblut erwartet und vorbereitet worden ist, kann man sich nicht auf einige Fotos beschränken, denn jedes Bild zeigt euer Entzücken endlich Nalle, Venus und Manasse zu sehen. Nicht mit leeren Händen zu kommen ist Mervi-Tradition und alle Geschenke haben viel Freude gemacht. Die Lebensdauer eines Balles ist in den Tatzen von zwei Bären leider sehr kurz, aber wer sagt, dass ein Ball rund sein muss? Man kann ihn in einen Reifen verstecken und die Luftblasen im Wasser daraus beobachten, das gefällt Mutter und Kind gleichermaßen. Nalle ist ein properes Kerlchen, mal wild und mal verschmust, eben ein echter Wikinger! Jedes deiner Fotos ist so liebevoll kommentiert, wie es von einer “Hofberichterstatterin” aus dem Königreich der Bären erwartet wird! Dass man dich und Vesa als ganz besondere Paten begrüßt hat, freut mich ganz besonders für euch. Auch mich hat deine Interpretation von Venus an der Mauer sehr berührt. Vielen lieben Dank für deinen wunderschönen Bericht und die tollen Fotos. Den 2. Teil kann ich kaum erwarten. 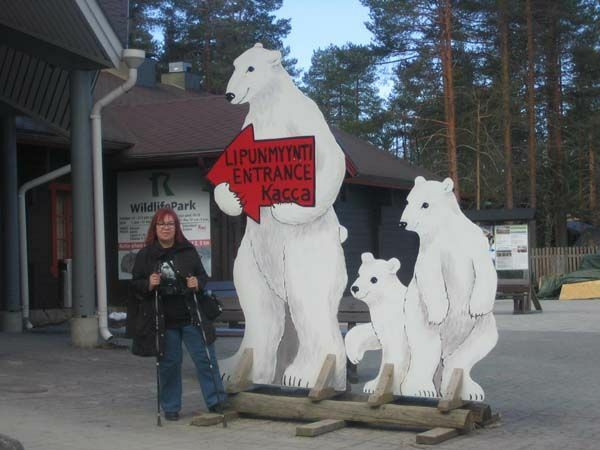 I´m happy for you that you had a good and eventful journey to Finland, saw your beloved Nalle and his gorgeous parents in good shape and obviously had a good time. Your pics are great and the descriptions lively, humorous and colourful. 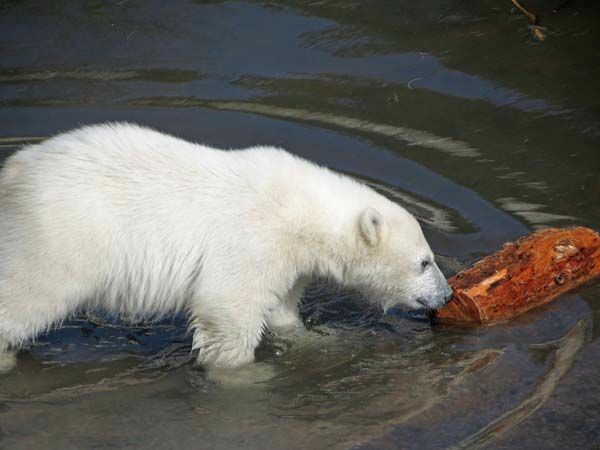 It is plain to see the bears were very happy with and about your affectionate treats. With justice you have been appointet as godmother and godfather of the Ranua bears and quite rightly you are very proud of this honour. Thank you so much for the fast delivery of the first part of your travel report. of that adorable bear boy!! It is really something to see a cubbie!!! Thank you very much dear Mervi. 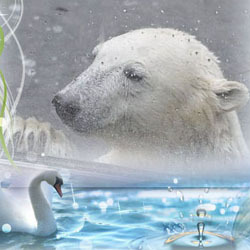 Best wishes to the polar bears in Ranua. It is so wonderful to see the beautiful pictures of Nalle, Venus, and Manasse. Thank you so much for sharing them, and the lovely report, with all of us. It was so good for him that he could change the round shape of the ball. 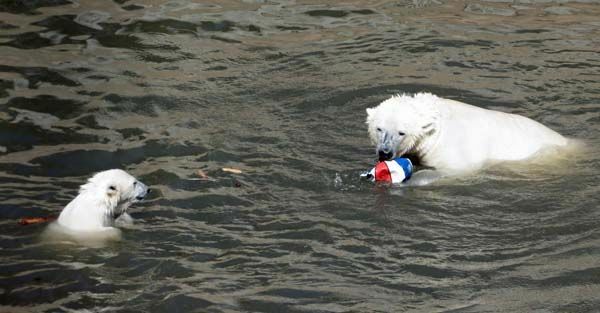 Most important for polar bears to destroy or re-shape their toys. I do agree with you, it looks like Venus is communicating with King Manasse about the little Prince! ein großartiger Bericht und wundervolle Fotos – ich bin total begeistert und freue mich schon auf den zweiten Teil. Ihr habt sehr schöne Bilder mitgebracht aus dem hohen Norden. Tiere getroffen (z.B. Jemma oder die Wildhunde). Nalle ist süß und immer unterwegs. 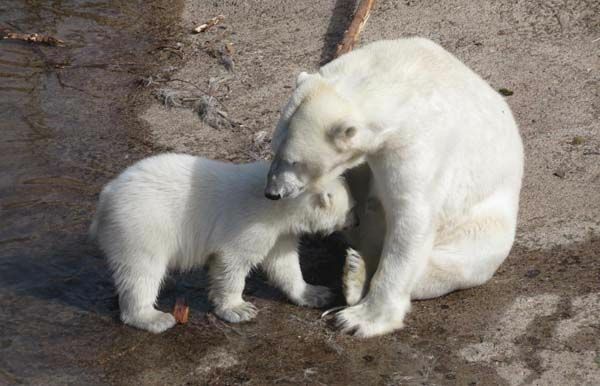 Mama Venus ist eine wunderschöne Bärin und sie hat ihre Kleine im Griff. Dear Mervi, I remember that when Nalle was born, you could barely hold your horses to visit him. Even though your plans were: we go when the snow is gone, I am happy to see that actually, you were lucky to have both parts: snow and sun. 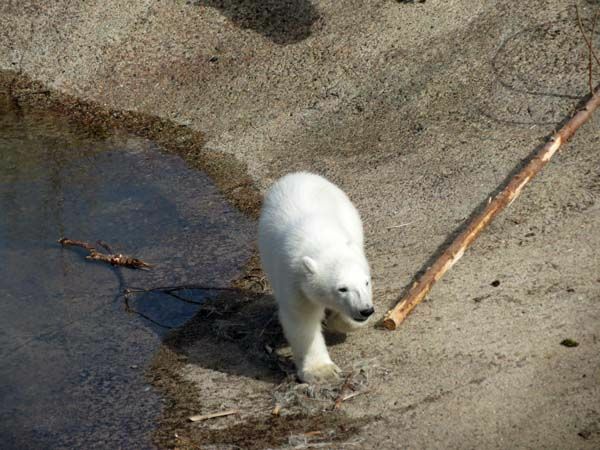 The roads were apparently safe enough but you could see the little polar bear playing in the “leftovers” of snow and ice. 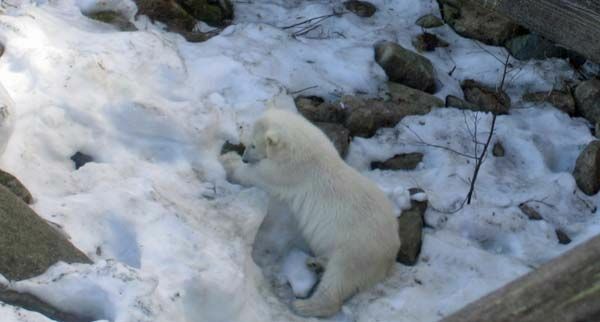 And yes, you are right: name it and Nalle is it and most of all he is adorable. When I was watching the pics of Manasse, I was thinking “oh my that bear looks very good for his age” and then I read that he is already 28 (!!!) years (I knew that he was not soo young but actually I forgot how old he already is). Another thing that was very interesting to see was the interaction between Venus and Manasse at the wall. When Ranzo was a baby and they both were sitting at the wall, Manasse could smell Venus and I had the feeling that he was rather nervous for not being able to be with her. And Venus was nervous because Manasse was too close to her baby. But this time, both are looking more relaxed. Maybe that Manasse is feeling/realizing that this is only a temporary situation and that Venus is knowing that he is forming no danger for her baby. Nevertheless, I am glad to know that the father could stay in Ranua Zoo and that he did not have to undergo the travel times like many other males. And most of all, maybe, we all should send an email to the manufacturers of balls that they must start by creating “omelet-balls” in stead of round ones. Do they ever realize how much work and energy this is demanding of a polar bear (whether baby bear, young bear or mother bear)?????? Luckily that some visitors are considering these efforts and are bringing some special goodies. baer-boy. Hope the best them. Manasse is an impressive bear. 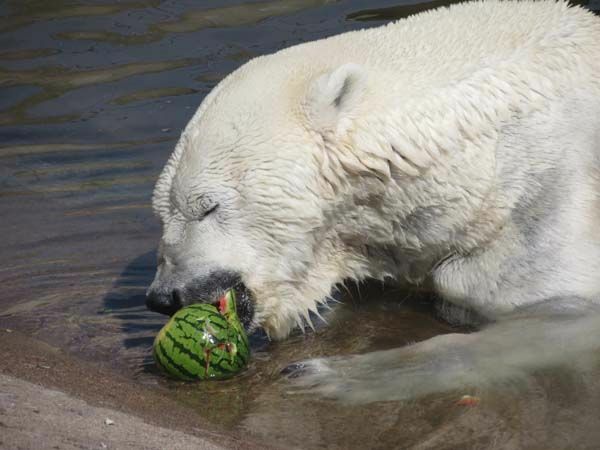 He enjoyed his water melone. Thank your for the interesting Report from Ranua! 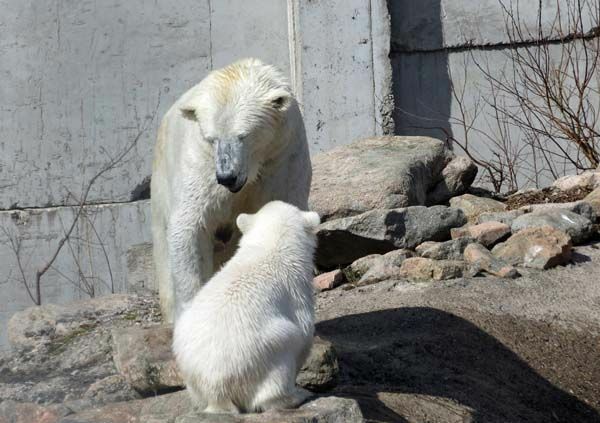 Nalle is so cute and Venus is a very beautiful polarbear-lady. The both are so lovely. Much greetings for you and Vesa! ich habe Deinen Bericht mit all den hübschen Fotos sehr genossen. Was für ein tolles Erlebnis für Dich und Deinen Mann! Manasse und seine kleine Familie sehen prächtig aus, ganz bezaubernd! Lieben Dank für diesen wunderschönen Bericht. Erst einmal wünsche ich allen KWM-Lesern, die hier vorbeischauen, ein schönes und friedliches Pfingsfest. Aus gesundheitlichen Gründen kann ich mich leider erst jetzt melden, und bitte um Verständnis, dass ich nicht nachträglich die vielen Berichte kommentieren kann. Deshalb ein Sammeldank an alle, die so schöne Berichte und Fotos hier gepostet haben. Ich hoffe, dass ich mich in nächster Zeit wieder öffter melden kann. So nun aber zu dem wundervollen Bericht aus Ranua. 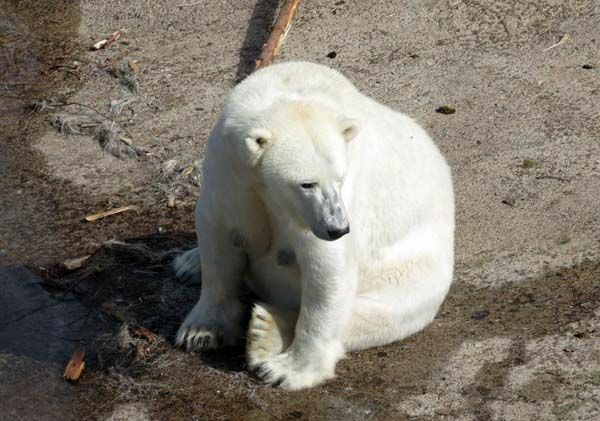 Ich habe mich riesig gefreut als ich las, dass Ihr nach Ranua zu der süßen Eisbärenfamilie fahrt. Das Dir das wie ein Traum vorkam, kann ich gut verstehen. 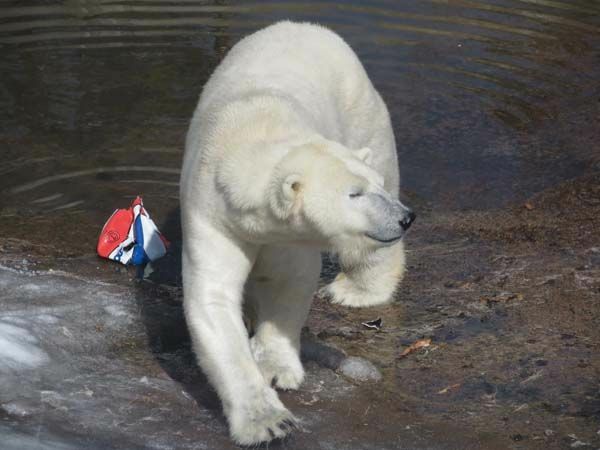 Schon das Foto am Eingang von Dir und den Eisbären ist klasse. Als Du “Nalle” aus dem Höhleneingang kommend gesehen hast, hätte ich gerne Dein Gesicht gesehen. Das ist aber auch ein süßes Kerlchen. 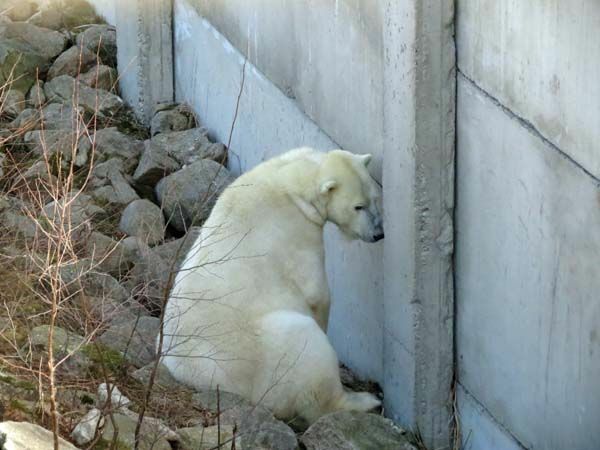 Schade eigentlich, dass sich der Zoo soviel Zeit läßt, um dem Bärchen einen Namen zu geben. Über die kulinarischen Geschenke haben sich alle drei Bären gefreut. Schön zu sehen, wie genüßlich Manasse seine Melone futtert. Übrigens, bei dem Bild wo Manasse schlafend auf dem Felsen liegt, habe ich sofort an Katjuscha gedacht, die ja auch öfter in der gleichen Stellung schläft. 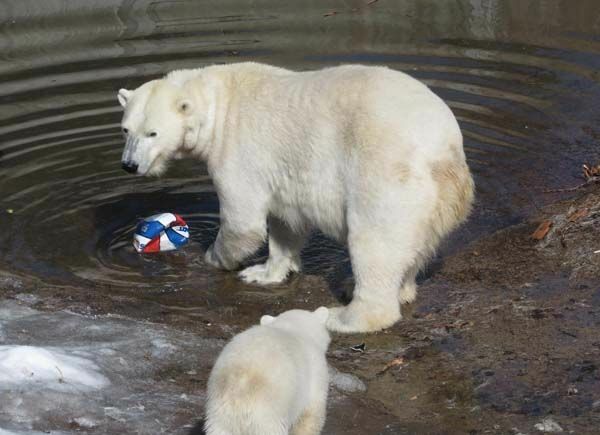 Na ja, der Ball für Nalle hat ja nicht lange gehalten, aber er und vor allem auch Venus hatten viel Spaß. Aber wie man sieht, findet Nalle immer wieder andere Dinge mit denen er spielen kann. Da habt Ihr super Aufnahmen mitgebracht. Ich hätte den Finger bestimmt auch nicht mehr vom Auslöser bekommen. Das ist schon etwas Besonderes, dass Mari sich so rührend um Euch gekümmert hat. Hab ganz lieben Dank für den wunderbaren ersten Teil. Jetzt freue ich mich auf Teil 2.
wie schön daß ihr den Kleinen und seine Eltern so ausführlich sehen konntet. Noch immer liegt Schnee in Ranua, jetzt wird es Zeit daß auch dort der Frühling ankommt. Vielen Dank für dieses 1.Bericht und ich bin gespannt auf Teil2. 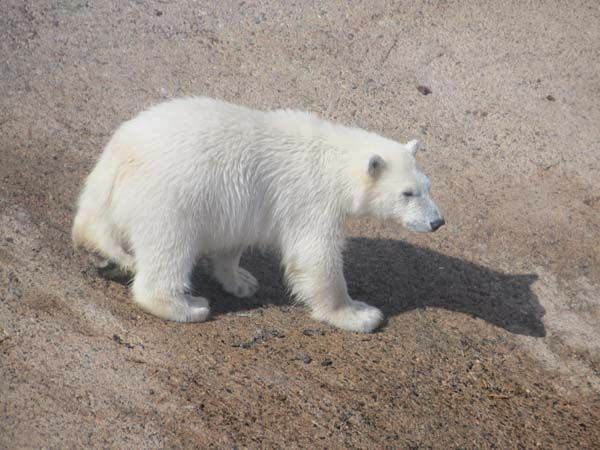 Thank you so much for your delightful report and the great photos of the Polar Royals of Ranua. Congratulations on your having been given the noble title ‘Nalle’s God Parents” also often referred to as ‘sponsors’. And you brought along the proper gifts – tasty melons and a deflatable ball. I had to laugh when Nalle hid his new treasure in another one, the tyre. Boys are ever so inventive. Thank you for sharing Ranua love and bringing the dynamic joy of life to our homes. Log in | 53 queries. 0.820 seconds.